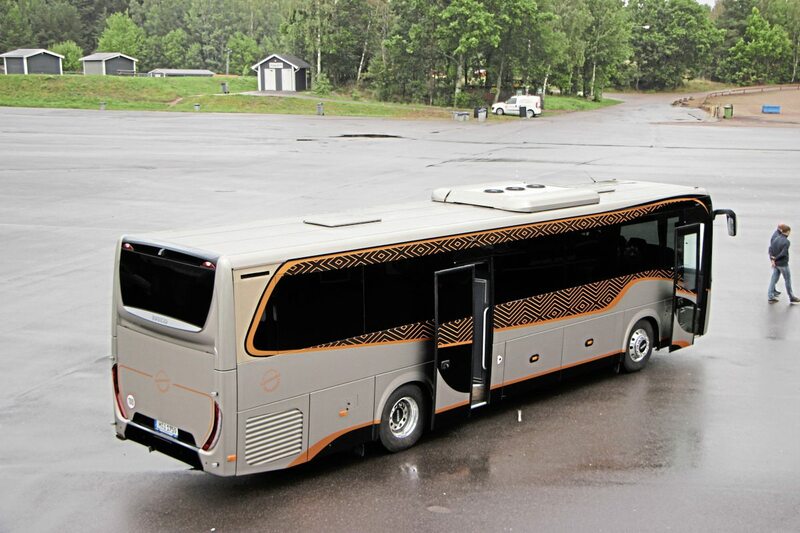 Offered only as a two-axle coach at 12.097m and 12.962m it is intended for ‘line’ (read ‘interurban’), school, airport, excursion, and touring applications with three different second-door layout options (rear, single centre, double centre), 15 different seating configurations with a maximum of 63 available and a luggage capacity that can be varied up to a maximum of 9.3cum (on the 13m), though large interior racks can provide up to 1.6cum additional space. 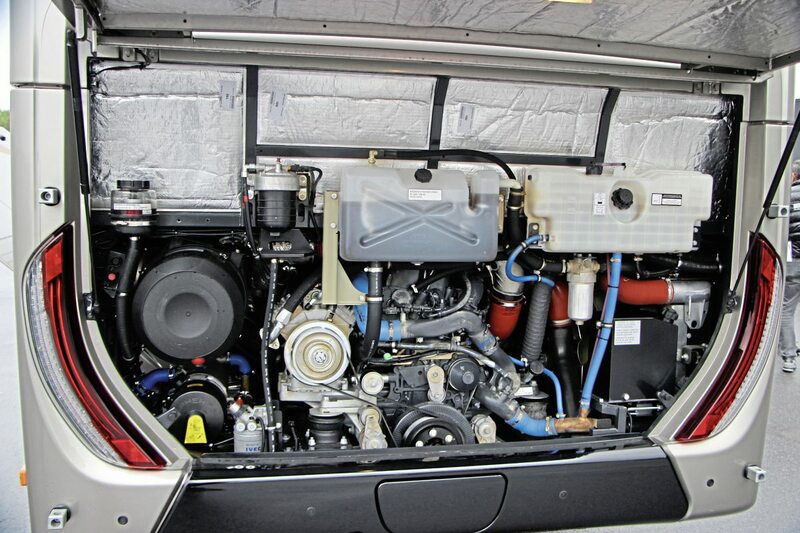 In driveline terms, Evadys offered by far the smallest engine, the capacity of the six-cylinder, FPT (Fiat Power Train) Cursor 9 being only 8.7-litres, two litres less than the Tourismo and four litres less than the rest of the field. Nevertheless, the unit delivered 400hp/294kW and peak torque of 1,700Nm albeit at considerably higher rpm than the others. 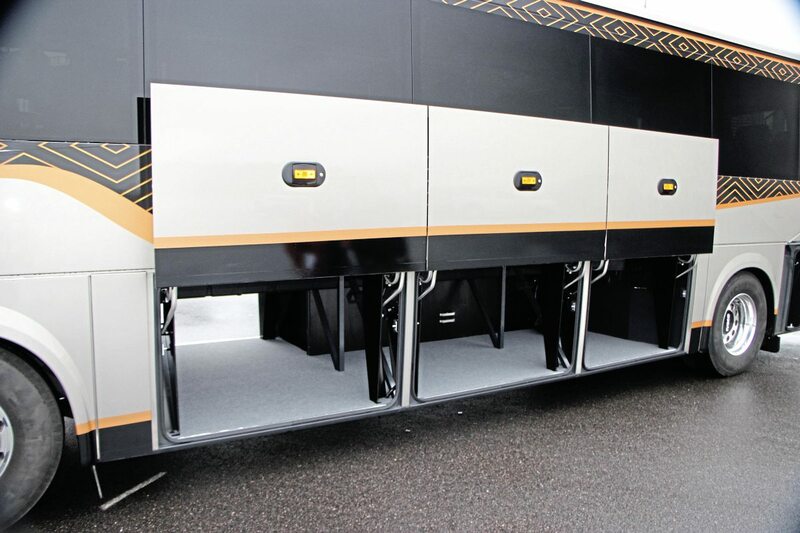 Furthermore, utilising FPT’s Hi-SCR technology it does not require EGR for emission control, a claim only Scania among the other candidates could make. 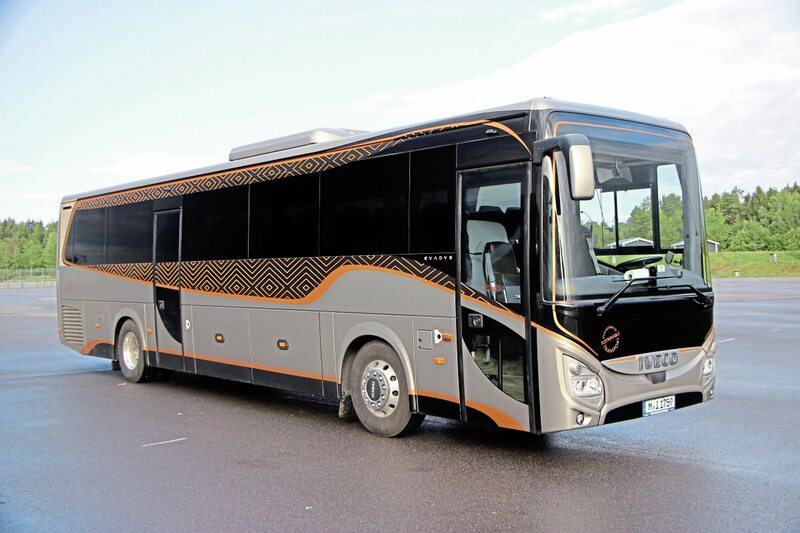 A real novelty on the Evadys was its use of the new ZF TraXon automated manual transmission which is set to take over from the current AS-tronic range. 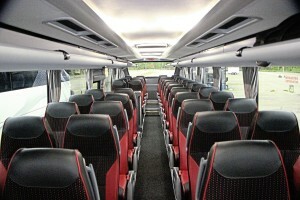 Among the advantages it is said to offer are a 60% longer service life and reduced noise. This is currently one of four gearbox options available with the Evadys, the others being automatics from Voith and ZF and the ZF6S-1911BO which is the standard option. A big plus for the model is price. 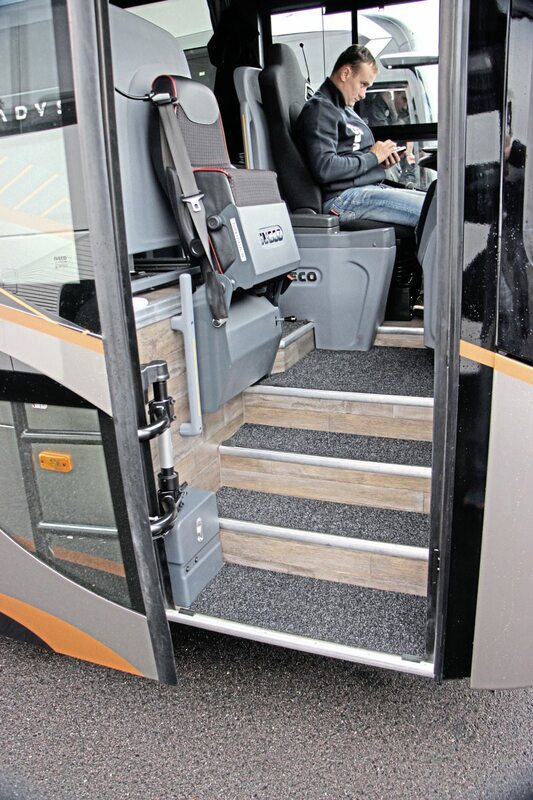 Starting at E175,000, the specification entered with toilet, kitchenette and single centre door was E208,000, a whopping E57,000 less than the next cheapest candidate (the Neoplan at E265,000) and even the most expensive version possible, incorporating a wheelchair lift, is only E220,000. With a model offering this degree of versatility within a low-height package, there is inevitably a considerable degree of compromise. 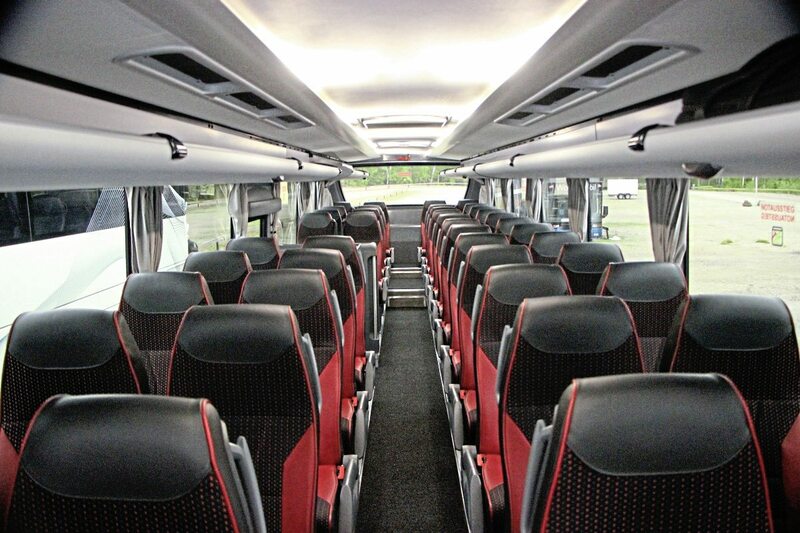 Although the 46 seats were comfortable, I found the interior claustrophobic partly because of the small windows, but also because of the dark colours and the limited headroom under the racks, which are said to be deep enough to take standard airline size cabin baggage. 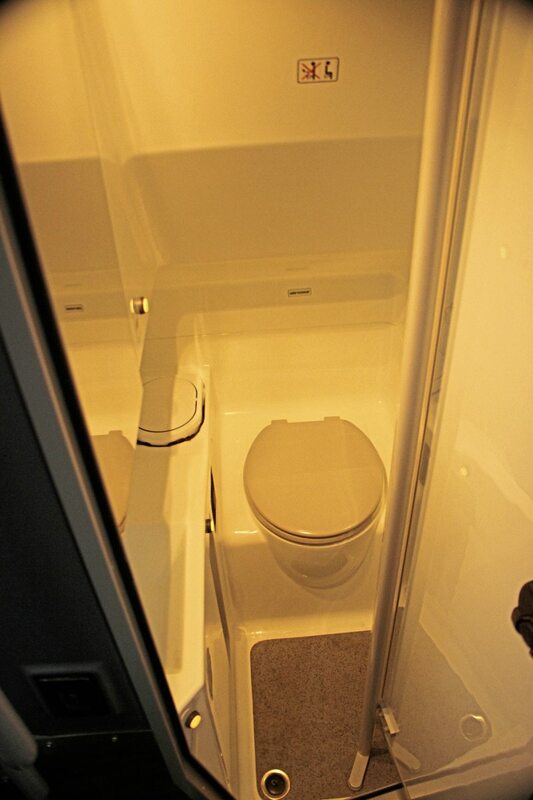 The toilet compartment was one of the smallest I have ever encountered – I touched both sides when I tried to get in it, a feat further hampered by the narrow throat afforded by the pivot door. Opposite it the kitchen unit was cleverly designed. 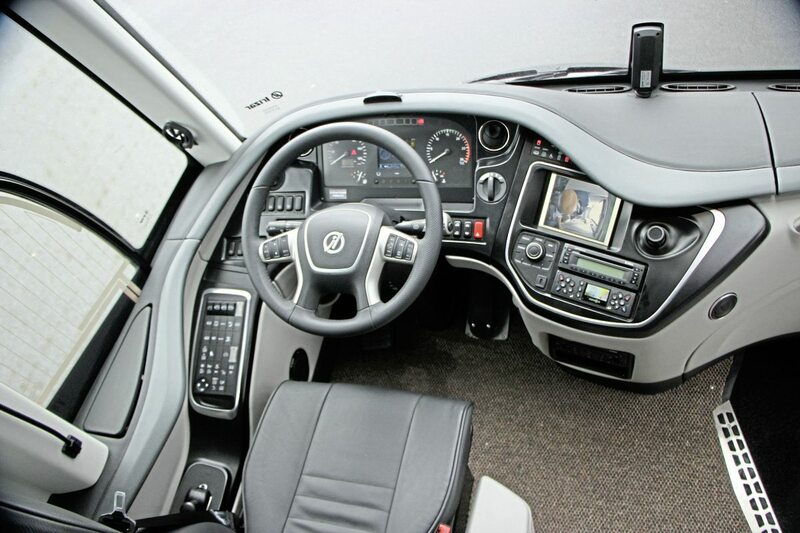 Where to mount USB charging points is a difficult issue, and there is no ideal solution, though Iveco’s decision to have them on the window side of the rack undersides meant that there would inevitably be wires hanging down or trailing into the racks when they were used. 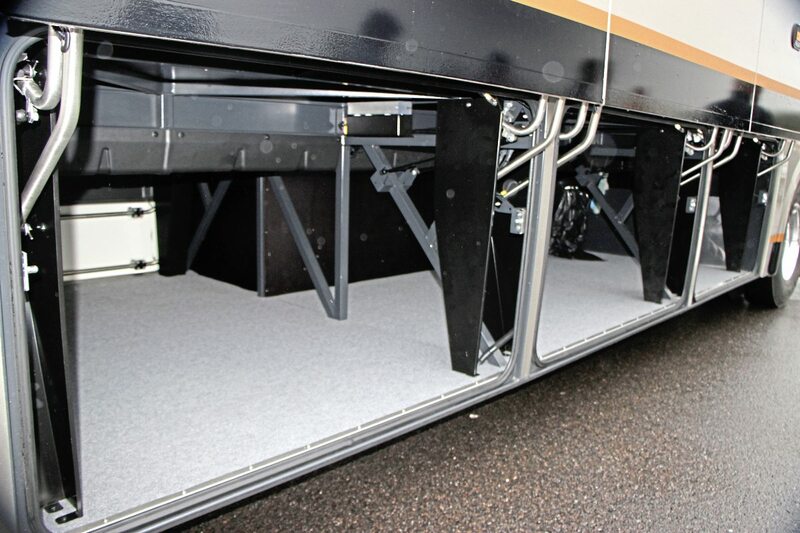 Positives are a 38kW capacity air conditioning system that is standard across the range and good accessibility at the entrance, though an additional rail on the courier seat base would be useful. 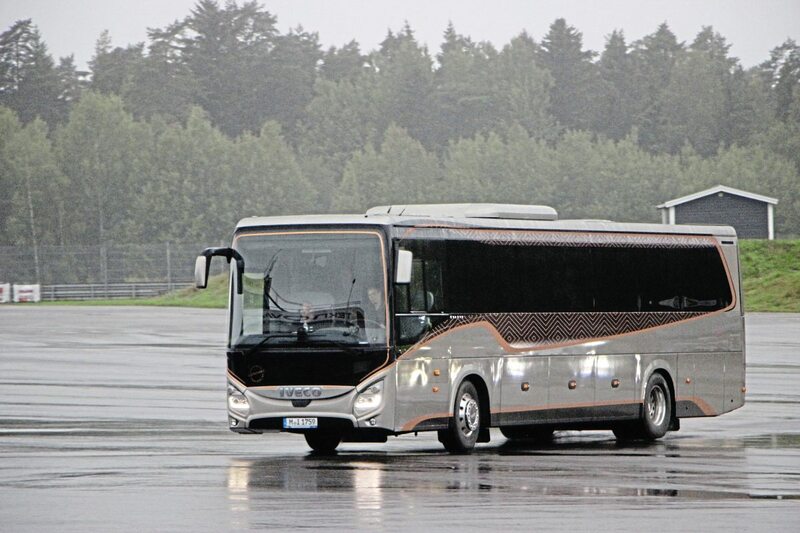 Ride quality was very good but noise, although low at the front, was high at the rear partly because of an unidentified non-driveline related whine that had commenced after the coach left the factory and became worse during the test. From a driving perspective, there was criticism of the dash (standard Crossway) and its mono main display, the lack of space for a driver’s cup and the poor mirror on the left. Others liked the reversing camera and the big control buttons, while the extensively tested windscreen wipers were thought the best of any participants. 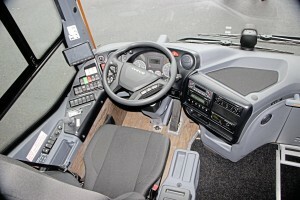 Most drivers thought the TraXon an improvement on the AS-Tronic; it may well be capable of further optimisation, though they did not appreciate having to go through neutral. The fact that the adaptive cruise control was not operational was a big negative. Overall it offered great total cost of ownership at the expense of rather a lot of compromises; perhaps too many for widespread touring use.